In the early days of TidBITS, we were proud of the fact that you could find us on commercial online services like AppleLink, BIX, CompuServe, Delphi, and GEnie, along with the open Internet. Today, you can come to the canonical source of all things TidBITS—our Web site at tidbits.com—and you can sign up to receive TidBITS in email or use an RSS reader with our feed (TidBITS members get a full-text feed). If you prefer, however, you can read TidBITS in a variety of other places. 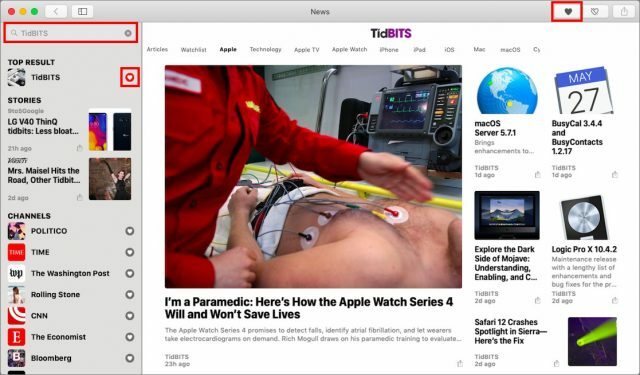 Here’s the latest news on the TidBITS News app, Apple News, Google News, and Flipboard. 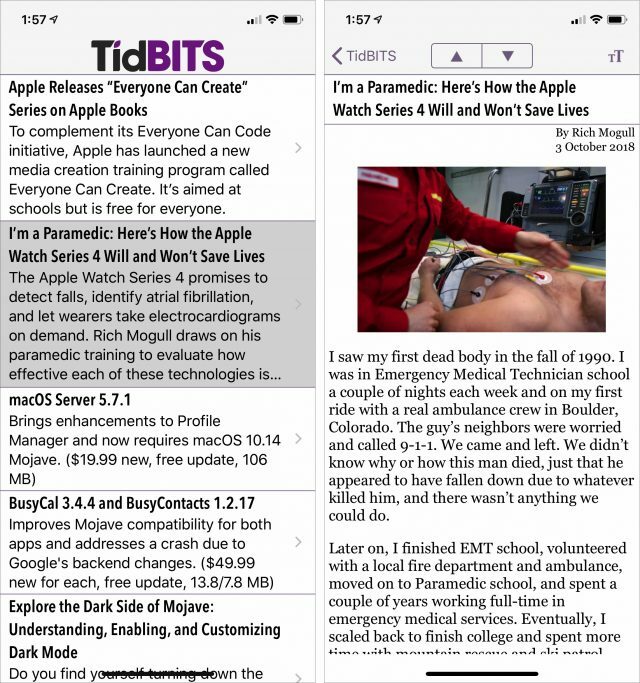 Matt Neuburg’s TidBITS News app for iOS has recently been having troubles that turned out to be our fault. We keep tweaking our RSS feeds to work better with certain services or readers, and one change we made to the app’s custom feed rendered the feed invalid and confused the app. That’s now fixed, so if you like the app, give it a try again. You’ll also want to see what’s new because Matt has released an update that uses our current logo and headline font. Other changes include updating it for iOS 12, restoring offline mode, and modernizing the interface. The new TidBITS News app offers a more modern look. One note: if you want larger text on the headline screen, go to Settings > General > Accessibility > Larger Text and move the slider at the bottom of the screen to the right. You can also add a Text Size button to Control Center in Settings > Control Center > Customize Controls and then increase the size of the text in Control Center. Regardless, if you have a minute and want to check out the new Mac version of News in Mojave (and you’re in the US, UK, or Australia, the only countries Apple News supports), additional follows would help. Mojave has been out for only a few weeks now, but it already accounts for 5% of our views in Apple News. I suspect that’s more because reading on the Mac is more convenient for many people than because News is a particularly well-done app. 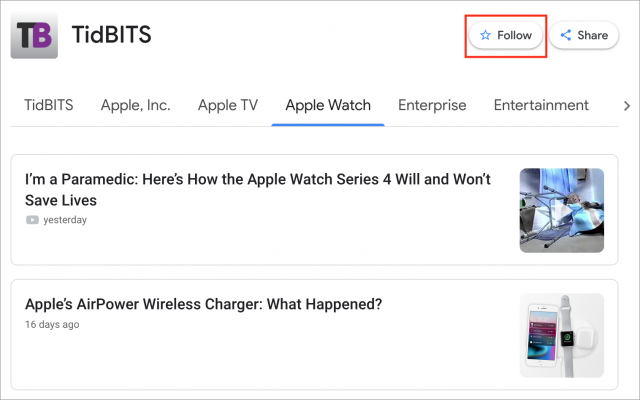 To follow TidBITS in Apple News, search for “TidBITS” in the search field at the top of the sidebar and then click the heart icon either next to TidBITS in the results, or, once you click TidBITS in the results, at the upper right. Once you find TidBITS in the News app in Mojave, click one of the heart icons. Google News is, of course, Google’s algorithmically driven news site at news.google.com, but the search giant also provides a Google News app for iOS and Android. 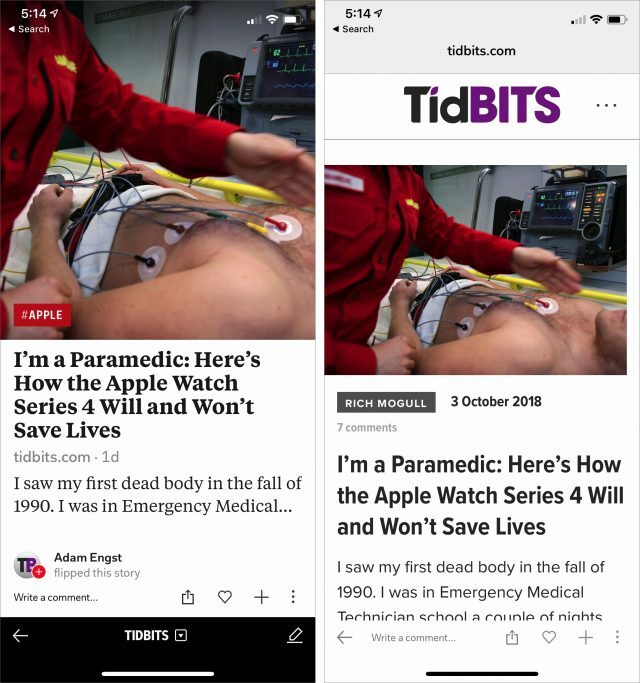 As with Apple News, I’d really appreciate it if you could visit our official TidBITS channel in any Web browser and click the Follow button in the upper-right corner. 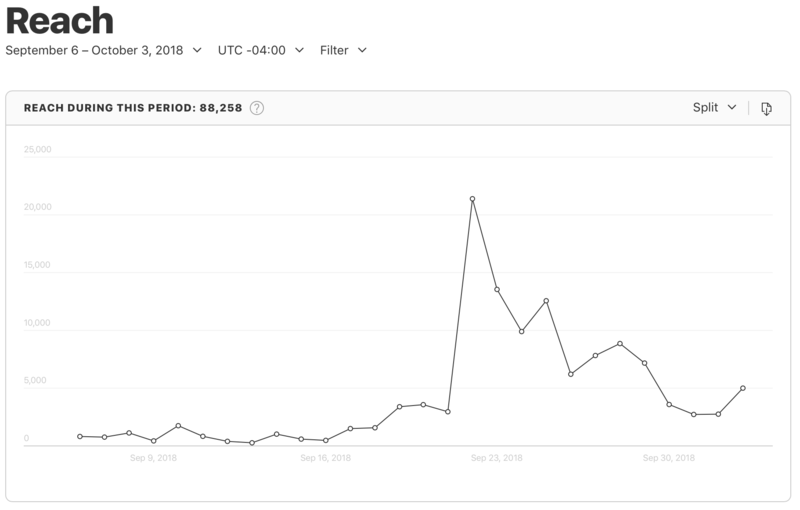 I hope additional follows will increase the visibility of our articles in Google News too, since it can drive a vast amount of traffic. Google News provides a stripped-down interface. While Apple and Google are the 800-pound gorillas of our news ecosystem, and Matt Neuburg’s TidBITS News app is the homebrew favorite, the best reading experience may come from the Flipboard app for iPhone and iPad. If you’re using Flipboard now, search for TidBITS in the search field and tap the Follow button next the search result (you may have to scroll down a lot to find the right TidBITS; look for my name under it). You can also find TidBITS on Flipboard’s Web site. 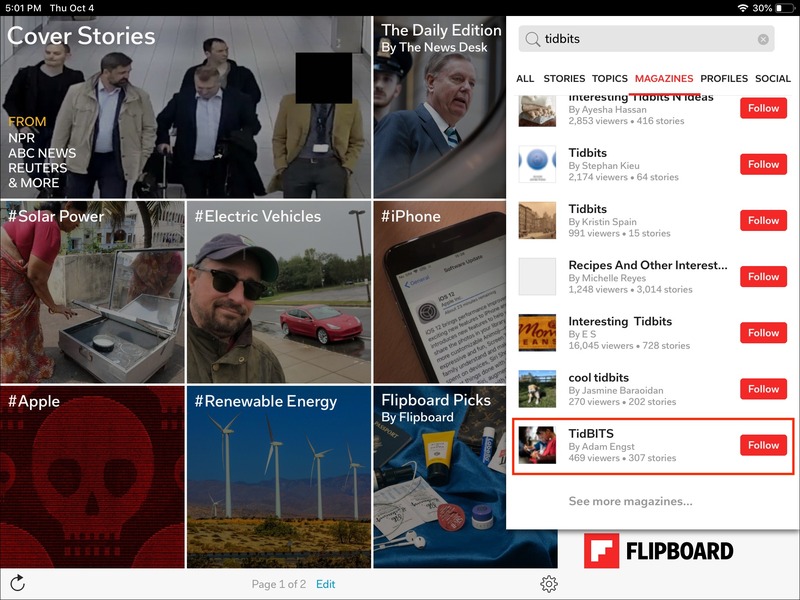 It’s a little tricky to follow TidBITS in Flipboard since so many other “magazines” use the name. Just search and scroll down. 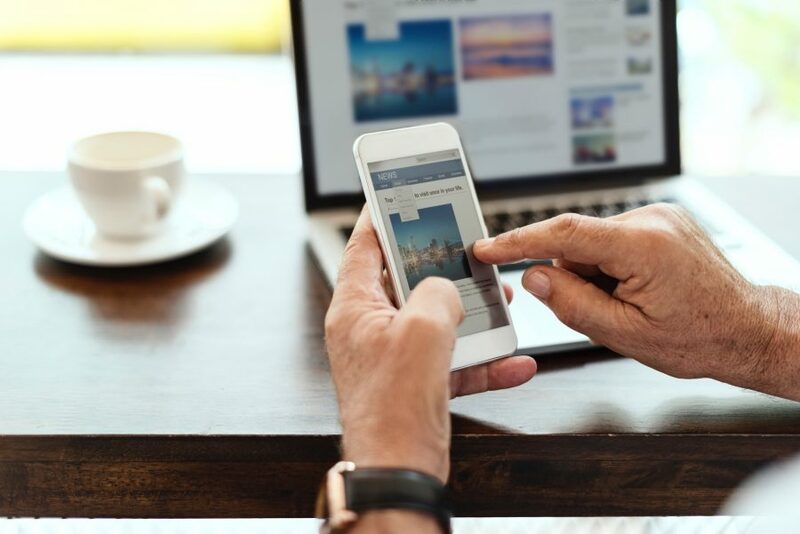 For those who haven’t used it, Flipboard relies on an elegant page-flipping interface that makes it easy to scan through article headlines. On the iPhone, you flip up and down, whereas, on the iPad, you flip left and right. In either app, tapping displays the full article in an in-app browser. And since our Web site is now fully responsive, it’s a good reading experience. Flipboard on the iPhone provides a vertical flip experience. Flipboard on the iPad instead uses a horizontal flipping approach. We have only 48 followers and 542 viewers on Flipboard right now, so any increased traffic will undoubtedly help Flipboard recommend our articles to new readers there as well. However you decide to read TidBITS, we appreciate it! If there’s some other spot where you’d like to see TidBITS included, let me know, and I’ll see what I can do. I live in Argentina, and today I found out that Apple News was installed when I upgraded to Mojave, but was invisible. I dragged it to the Dock, and now can read Tidbits in News (plus other news sources). That’s truly fascinating—when you say the News app was “invisible,” what do you mean? Simply not in the Dock, in the Applications folder but somehow hidden, or something else? Also, how do you have your Region set in System Preferences > Language & Region? If that’s set to United States (or UK or Australia), that might explain its presence. My Region is set to Argentina. If you keep open the Applications folder, and change Region to Argentina, News “disappears” from the Applications folder. Change back to US and it reappears. Should have used the word “hidden” instead of invisible as in using Command-Shift-. to show hidden files and folders. Very cool. Can someone from another non-supported country confirm what @Fahirsch is saying? In other words, can you change your region to United States, add the News app to your Dock, change the region back, and still be able to get News to work properly? Maybe there is a way to let it stick.